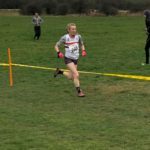 The Northern Cross Country Championships were again held at Pontefract over a dry, rolling course. 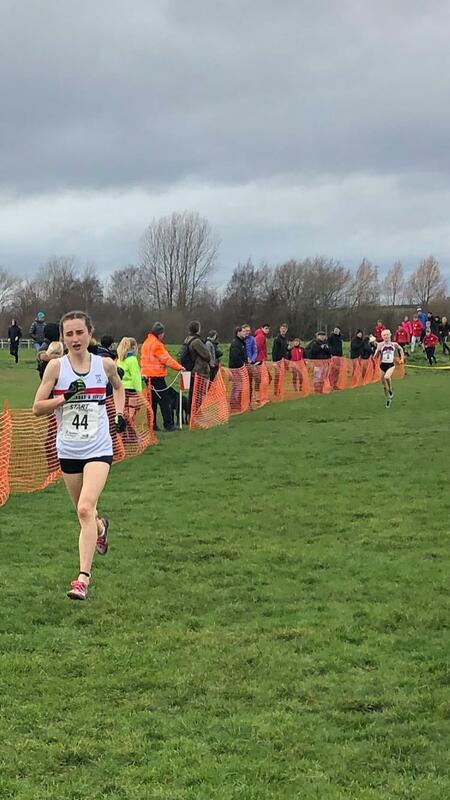 In spite of not racing since early December the Liverpool Pembroke Sefton international Tiffany Penfold unhesitatingly took the lead in the Junior Women`s race, pressurising her rivals. 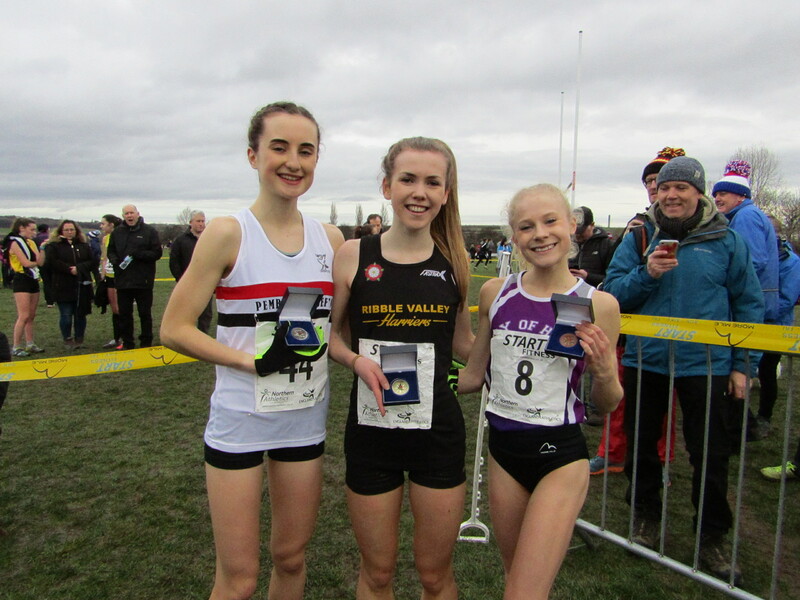 Her initial 10 second lead began to evaporate though in the final kilometre and she was gradually caught by Eleanor Bolton of Ribble Valley. In spite of a titanic struggle she had to cede the title by a mere three seconds. 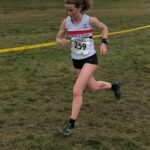 Nevertheless it was another crucial step in a very promising career. 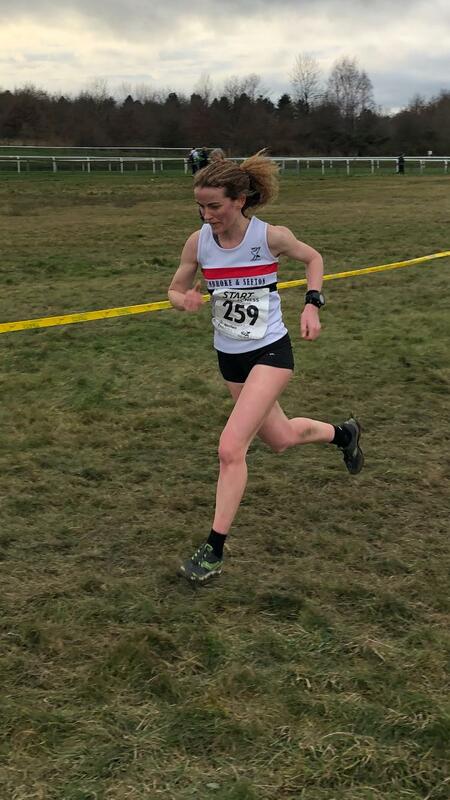 In the same race Harriet Foley was a courageous 54th. 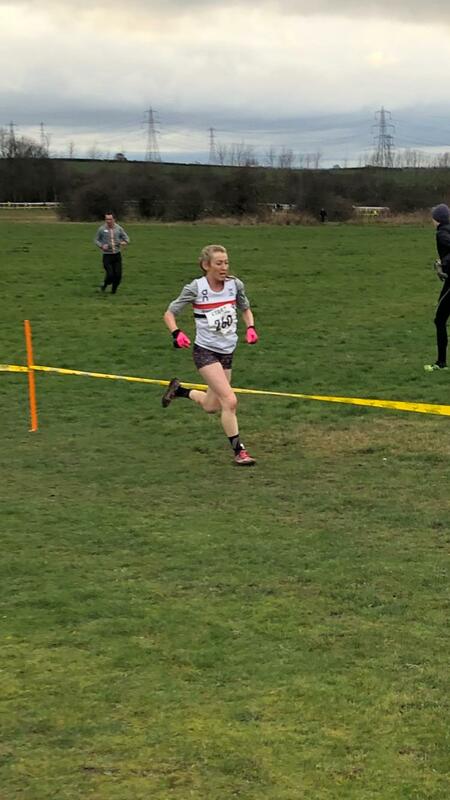 Winning the Helsby Half Marathon the week before must have had some impact on the club`s irrepressible Kirsty Longley but she nevertheless ran extremely strongly in the Senior Women`s race to finish 19th in a very large field. 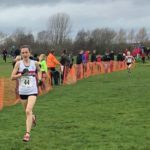 Debbie Campbell is enjoying a rich vein of success and was well placed in 93rd spot. 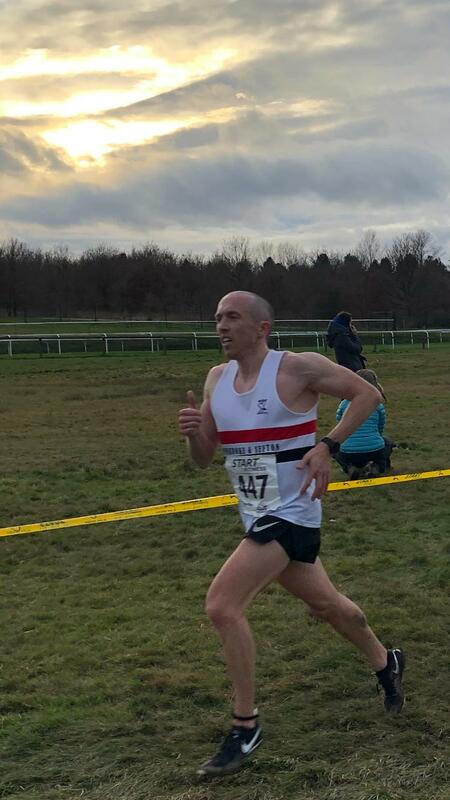 Also quietly building up his race pedigree is Chris Maher who will be well pleased with 71st in the Senior Men`s race. 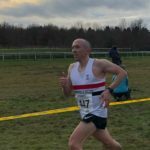 Unfortunately with only Paul Milburn(274), Sammy Rashid(397) and Kyle Nicholls(450) the club was without a team. 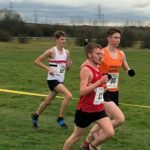 Junior Ross Harrison was spiked early on but recovered magnificently in his race to claim 21st spot and close the gap significantly on some of his local rivals. In the younger age groups Isaac Dickinson(64) was a commendable Under 13 with Harry Corcoran(135). 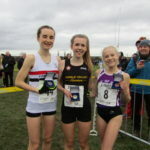 The U15 Girls had only Kate Sutcliffe(132) while the U15 Boys with Jake Dickinson(48), Michael Henderson(60) and Jared Nicholls(112) will be disappointed not to have at least finished a team in what has otherwise been a promising season. 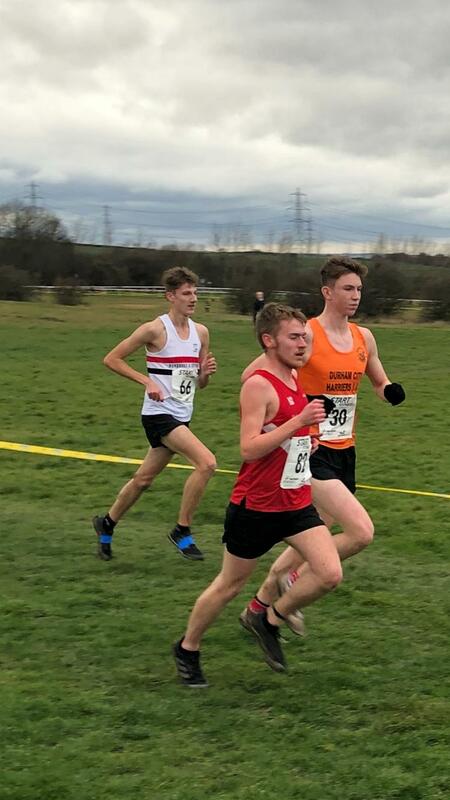 Club regulars Oliver Sutcliffe(64) and Tom Corcoran(74) contested the U17 race.